Most of the popular applications are readily packaged into the easily executable deb and rpm packages, which can be easily installed on the Linux distributions. There are also thousands of other packages that aren't compiled. Developers provide them 'as is' in the source code format and getting these installed may be challenging for newbies to Linux. Let's try to make it easier for you. One of the things open source programs are great to work with is flexibility. You can access the source code, which means that you can turn it into anything you want. Users have the permission to configure it however desired so that they can make it suit any system or add/remove any feature. Program developers often release their program in what is known as source code. The source code is a collection of code written using a readable programming language, which is typically a plain text. It is then transformed by a compiler into binary code for making ready to install packages like .deb, rpm, etc.. Most of the popular packages are readily packaged into the easily executable deb and rpm packages, but there are also thousands of other packages that aren’t compiled. Developers provide them ‘as is’ in the source code format. The most common formats and the ones that we are going to show here are .tar.xz, .tar.gz and .tar.bz2 packages. 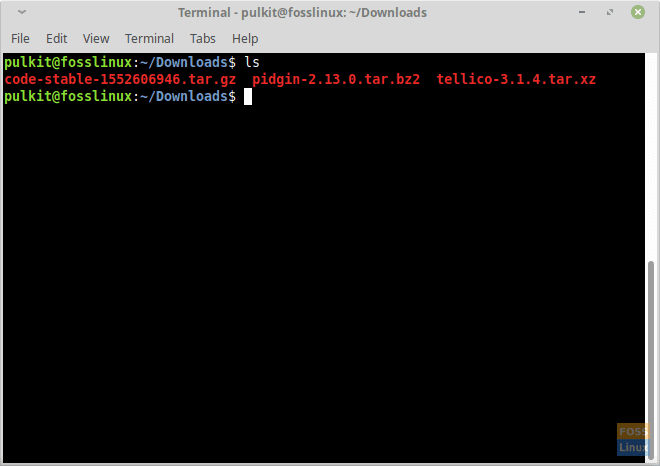 TAR is an archiving utility provided by GNU. The different formats use different archiving methods. Other than that, there is not much difference between the three. The ‘x‘ stands for extract. The ‘j‘ tells the system that the package uses bzip2 utility. The ‘v‘ means verbose, which means that your system will show the names of the file as they are being extracted. This is not necessary, but useful. The ‘f‘ means that you are referring to a file with the name, that you are going to write next. The ‘x‘, ‘v‘ and ‘f‘ are the same as the previous case. The ‘z‘ tells the system to use gzip utility. The first thing to do now is to run the ls command. Your further steps depend on the output of this. In the output of ls, look for a file named ‘configure‘. Now recompile it by running ‘./configure‘. And then the following command to install it. We’re done with the first part. Luckily, this is the way it goes in the majority of the cases. Now let us look at another case. The program will start running. This is inconvenient, obviously, to run it from the directory again and again, but one thing you can do is add an entry in your application launcher, or add a keyboard shortcut to open the file. Explaining those methods are out of the scope of this article as the steps vary between Linux distros. The first two cases generally ought to cover most cases. Now the third case, where there is neither a ‘configure‘ file and nor a file with the name of the program. That’s all about the various ways to compile and install the applications from the source codes. The source packages are a little complicated, but they have their perks. Easy configuration, extreme flexibility, and adaptability make it an ideal package. In any program, if there is just one package for installation, it has to be a source package. This is why almost all programs always provide a source package. Let us know about any issues that you might have or anything that you would want to say in the comments below. Cheers!